This is one of a selection of military aircraft on offer on this site from Royal Hampshire. 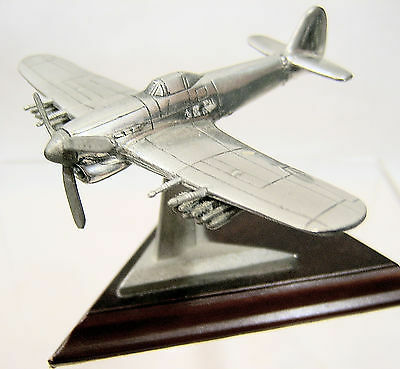 Each model has been manufactured in superb quality pewter throughout. 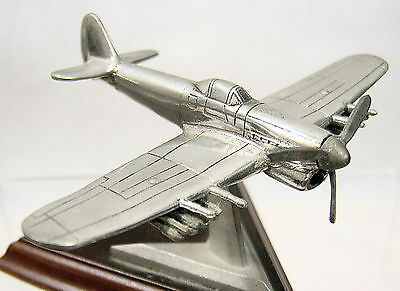 Over the years Royal Hampshire has produced very popular series for Collectors and in this instance, this model forms part of their 'Aviation Series' of which there are many in the collection (29). This model is the Hawker Typhoon and is in excellent condition; there is no flexing of the propellors and each blade is securely attached. A further attribute to make this a beautiful Display Model is that the pewter has been finely polished and has its stand and original box. 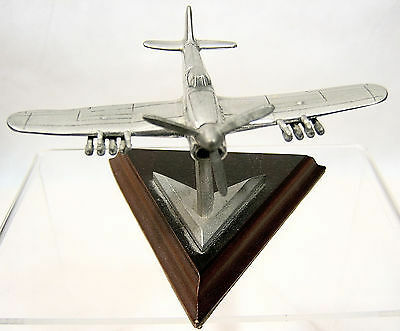 I am unsure of the scale as these models were built to fit the casting size but the basic measurements are a length of 3.25 inches (8 cms) and a wingspan of 4 inches (10 cms). UK postage is FREE OF CHARGE.